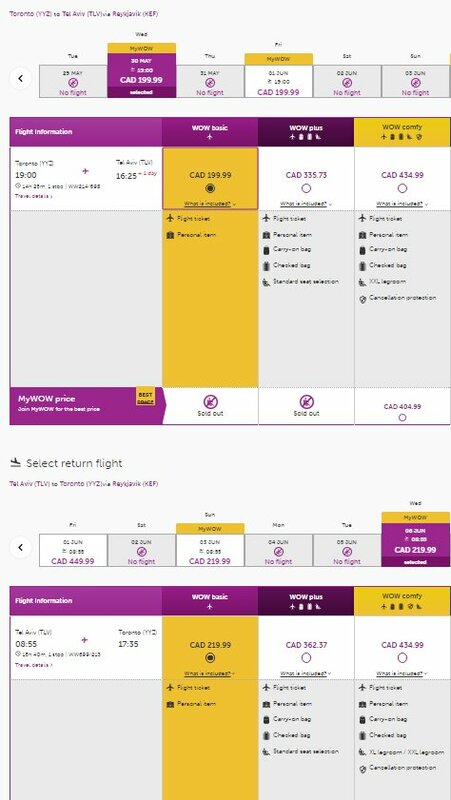 WOW Air has dropped the price of a few of their late May to early June flights from Toronto to Tel Aviv, Israel down to $420 CAD roundtrip (without luggage) to $600 CAD roundtrip (with luggage). Even with the luggage fees, $600 is around 33% cheaper than the typical best roundtrip prices for a flight from Toronto to Tel Aviv. The flights have 1 stop each way, in Iceland, for 1.5 to 2 hours. 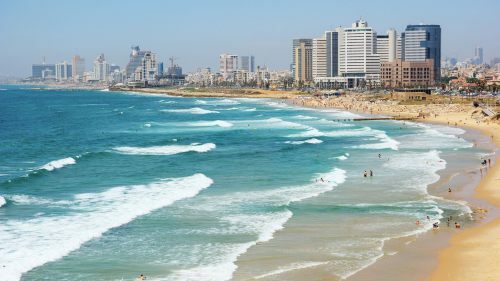 toronto, yyz, flight deals, tel aviv, israel, tlv, the middle east and wow air.